Simaudio’s versatile new Moon 390 ($5300 USD) is a preamplifier with a built-in DAC, network streaming, a moving-magnet/moving-coil phono preamp, and a headphone amplifier -- combined with an amplifier and speakers, it can be the heart of a complete music system. The Moon 390’s built-in DAC, based on the Moon 380D standalone DAC, supports up to 32-bit/384kHz PCM and DSD256 (via USB input), and is MQA compatible. Streaming features include Roon Readyness, integrated Tidal, Qobuz Sublime+, Deezer HiFi, Bluetooth aptX, and multiroom playback. A front-panel OLED display and HDMI 2.0 switching round out the feature set. 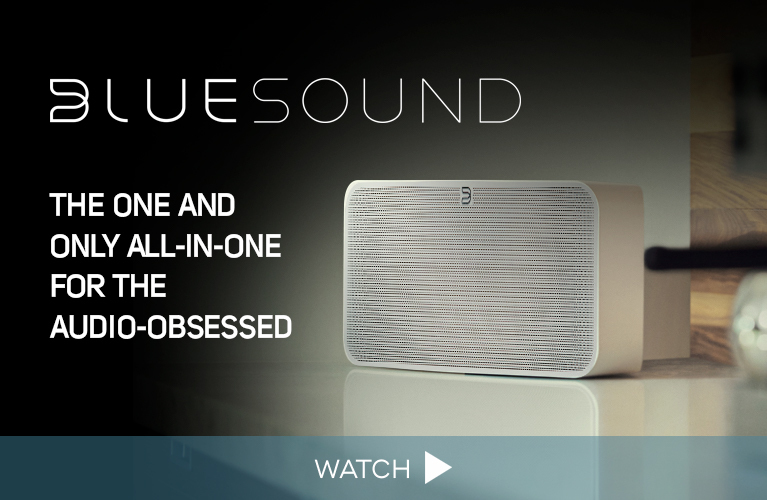 Danish speaker maker DALI has teamed up with Bluesound parent Lenbrook to produce the Callisto wireless speaker system. Callisto configurations feature either the 6 C tower (€3598/pair) or 2 C bookshelf (€2798/pair) model, mated with a Sound Hub preamplifier (€1149 with BluOS streaming module). Both speakers use a hybrid high-frequency tweeter that combines a 1” soft dome with a 0.65” x 1.75” ribbon. Onboard class-D amps deliver a total of 250W to the tweeter and the 6.5” bass-midrange drivers (two on the 6 C tower, one on the 2 C bookshelf). DALI’s Sound Hub preamplifier provides both digital and analog inputs, accepts up to 24-bit/192kHz PCM files, and sends up to 24/96 signals wirelessly to the speakers, with control carried out via the BluOS app or included hardware remote. The Callisto also features a capacitive touch control on the speaker’s top surface, and LED indicators to provide feedback when adjusting volume or switching inputs. Ayre’s new 8 series brings their fully balanced, zero-feedback circuitry to an affordable component range with modular upgrade options. The EX-8 integrated amplifier puts out 100Wpc into 8 ohms and provides dual unbalanced (RCA) and balanced (XLR) analog inputs. It also features balanced and single-ended headphone outputs driven by Ayre’s Diamond output circuit. A base EX-8 with analog inputs is priced at $5990. The prices for a more complete version, with digital input modules for S/PDIF, optical, AES/EBU, asynchronous USB, and Ethernet connectivity, top out at $7950. With Ayre’s Ethernet module installed, the EX-8 becomes Roon Ready, with integrated Tidal, Qobuz, and Spotify streaming. The X45 Pro (€4500) and X14 (€679), introduced at High End 2018, join Cocktail Audio’s growing line of all-in-one music systems. Both rip CDs and offer up to 8GB of optional storage, and feature a built-in phono preamp. The X45’s ES9038PRO DAC handles up to 32-bit/768kHz PCM, while the X14’s DAC supports 24/352.8 signals. Each system can function as a DLNA renderer and server and can stream from Tidal, Qobuz, Deezer, and Spotify. Control is carried out via the front-panel LCD display, or with Cocktail’s custom app. The X14 and X45 will be available in June. The SC-C50 (€749) is the latest addition to Technics’ Ottava line of all-in-one systems, which also includes the Reviewers’ Choice-winning Ottava f SC-C70. The Ottava SC-C50 is a compact speaker that uses Chromecast Built-in technology for wireless multiroom streaming of Spotify, Tidal, Google Music, and more. Like its big brother, the new speaker features Technics’ Space Tune auto-EQ feature to compensate for placement in a corner or near a wall. Its drivers comprise three horn-loaded midrange-tweeter modules and a single subwoofer, all driven by a 100W amplifier. Inputs include optical digital and 3.5mm analog along with LAN and USB Type-A ports. The Ottava SC-C50 will be available in September. Lumin’s X1 network music player (€12,000) is a new design from a company known for its high-end music streamers. Compatible with Roon, UPnP, and MQA, the X1 features dual ES9083PRO DAC chips and streams up to 32-bit/768kHz PCM and DSD512. Supported streaming services include Tidal, Qobuz, and Spotify. Lumin’s new Amp amplifier (€12,000) is a class-AB design that puts out 160Wpc into 8 ohms and can be used in stereo or bridged-mono configurations. Both the X1 and the Amp will be available in July. Three years in the making and well worth the wait, the striking new Edge series of electronics from Cambridge Audio was created to celebrate the company’s 50th anniversary. The line includes the Edge NQ preamplifier with network player (€4000) and Edge W power amplifier (€3000). Along with standard digital and analog inputs, the Edge NQ has an Ethernet port and a USB DAC input that supports up to 32-bit/384kHz PCM and DSD256. Wireless streaming features include Chromecast Built-in and Bluetooth aptX HD. The Edge W power amp delivers 100Wpc RMS into 8 ohms or 200Wpc into 4 ohms, and provides balanced (XLR) and unbalanced (RCA) inputs. All Edge models will be available in June or July. Billed by Aurender as a “true wireless lossless speaker system,” the S5W ($3000/pair) plays CD-resolution audio wirelessly transmitted by a supplied dongle plugged into an iOS device or computer. The speaker’s aluminum enclosure is available in finishes of dark blue, black, or wine red, and its built-in, 50Wx2 amplifier powers a 1” tweeter and a 4.5” midrange-woofer. The S5W’s most notable feature, however, is its power source: the same rechargeable 18V Bosch batteries used in power tools. Goldmund’s new Samadhi (a Sanskrit word referring to a state of mental stillness in which one is totally aware of the present moment) is a full-range wireless speaker with 700W of built-in amplification. 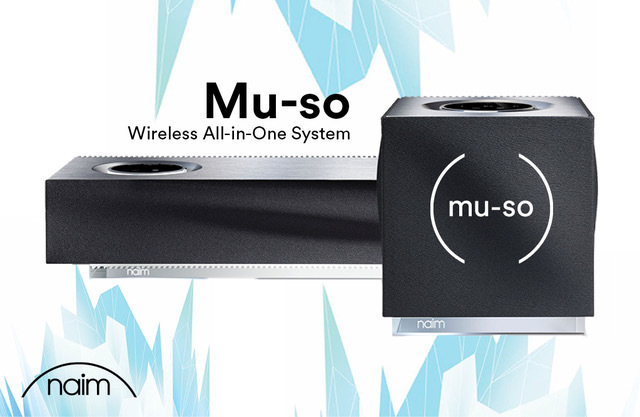 Another key feature that distinguishes it from most other wireless speakers is its price: €250,000/pair. The Samadhi receives signals over a proprietary wireless link from Goldmund’s USB transmitter, or from the company’s Mimesis 11 hub. A digital input is also onboard. The Samadhi’s driver complement comprises a soft-dome tweeter, two 7” midrange drivers, and a 12” woofer.